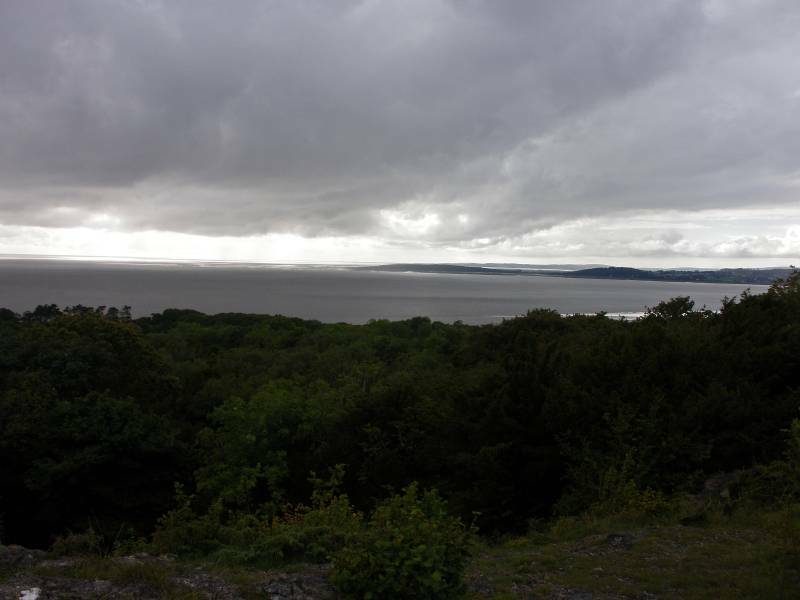 North from Silverdale return through Arnside Park and Eaves Wood. Route. 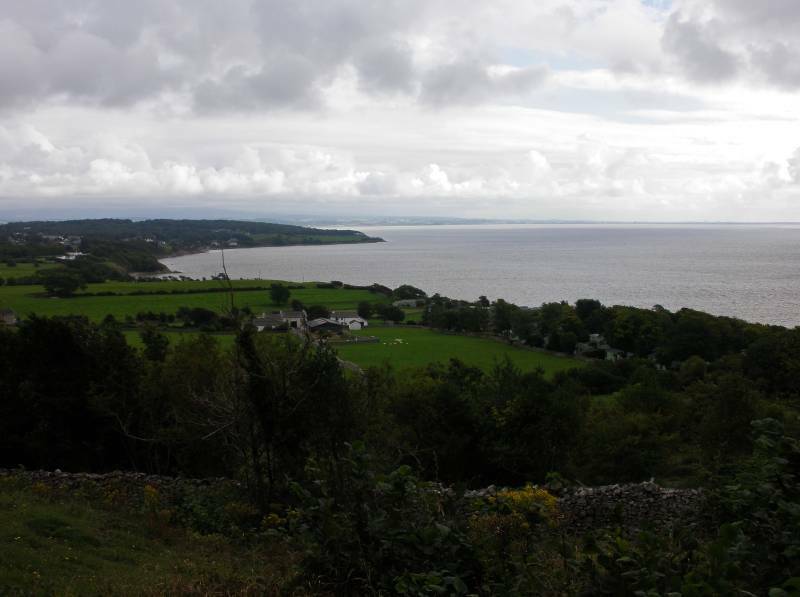 Silverdale - The Lots - Silverdale Cove - Holgates - Far Arnside - Arnside Park - Heathwaite - Arnside Tower - Eaves Wood - Pepper Pot - Emesgate Lane - Silverdale. Notes. With sunshine and showers forecast all day I planned an afternoon wander north along the Silverdale coast, my return would be made through Arnside Park and Eaves Wood, hopefully as it often does the rain would by-pass this small limestone peninsula, what I hadn't planned on was a high tide forcing me away from the shore into fields and lanes. Leaving Silverdale striding out over The Lots I descended to Silverdale Cove where my only escape was a metal gate leading onto Cove Road. 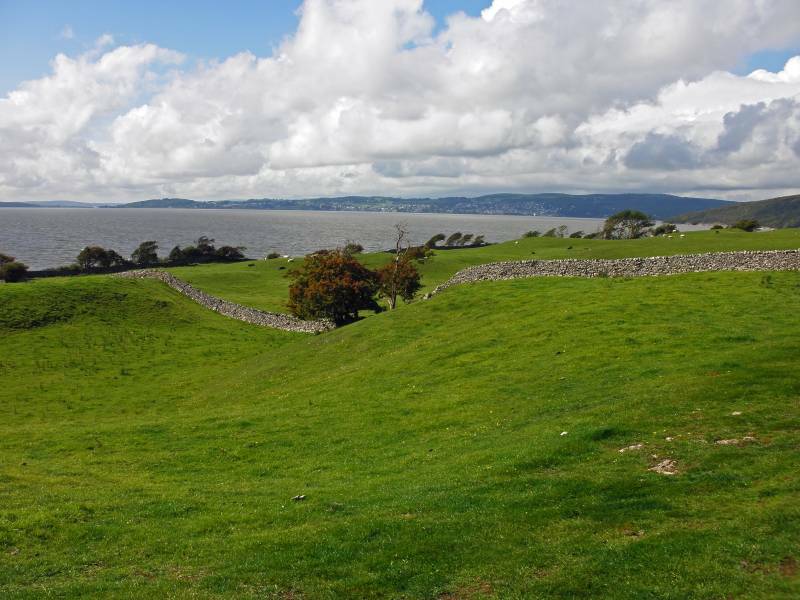 With tarmac under foot I strolled to Holgates, from here I crossed fields on a good path to Far Arnside. I decided to descend to the shingle beach, after all it was high tide and this is a wonderful spot when the tide is in. Leaving Far Arnside on the coast path following the right hand fork I ascended through Arnside Park, eventually the path swung north before turning east to climb a wide ridge, when the trees thinned I was on Heathwaite in the middle of an heavy shower, after a few minutes spent sheltering under the canopy of a trusty Oak I made the short descent to Arnside Tower. 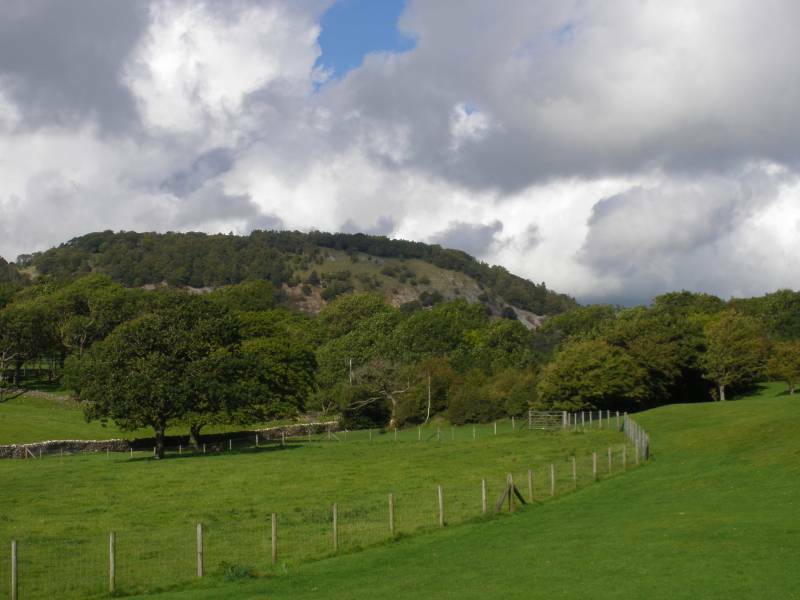 The heavily wooded slopes of Middlebarrow rise to the south of Arnside Tower, hidden by the coppiced woodland of Eaves Wood is the limestone crag known as King William's Hill, home to the Pepper Pot with stunning views over the Silverdale coast, this was my last appointment today. 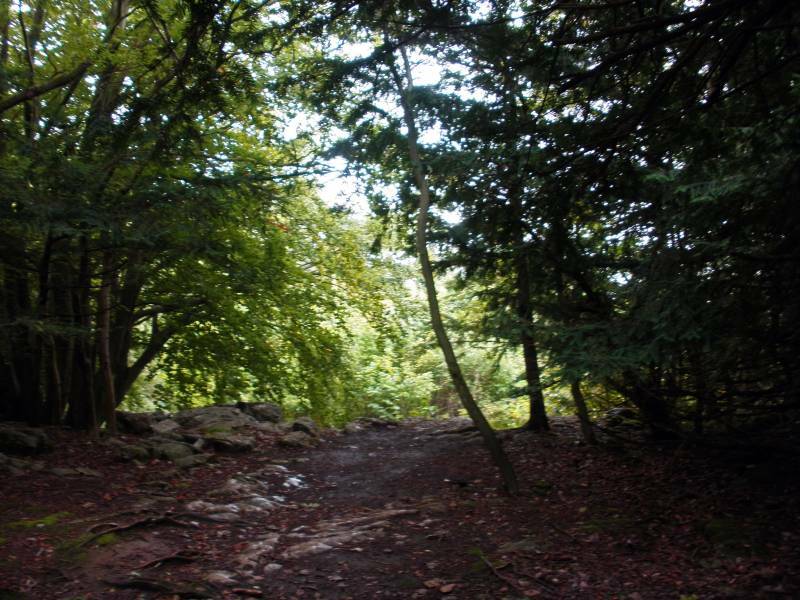 After visiting the Pepper Pot I descended in the poring rain on way marked paths, the path along the edge of Woodlands allowed access to Emesgate Lane for the short walk over tarmac back to the village. 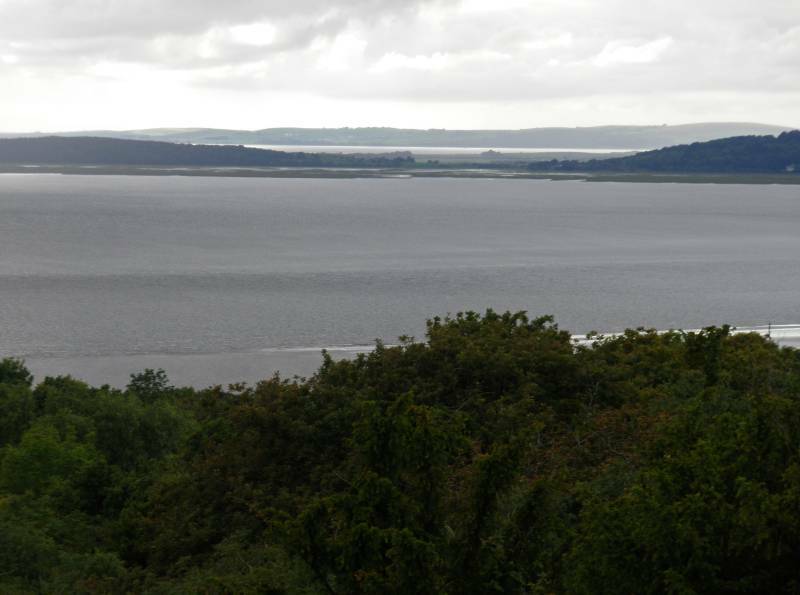 Seen from The Lots, Grange-over-Sands over the rising waters of Morecambe Bay. 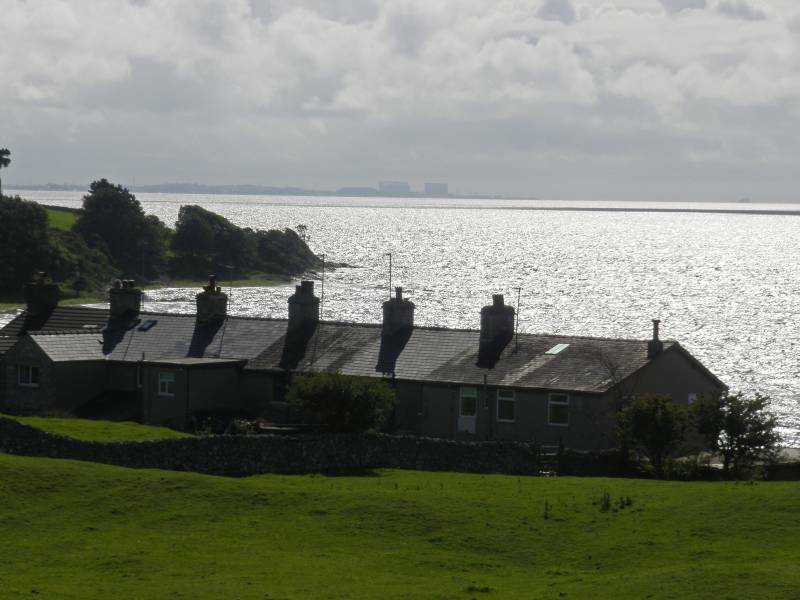 Looking to the row of cottages backing the Silverdale beach, known locally as the fishermen's cottages. 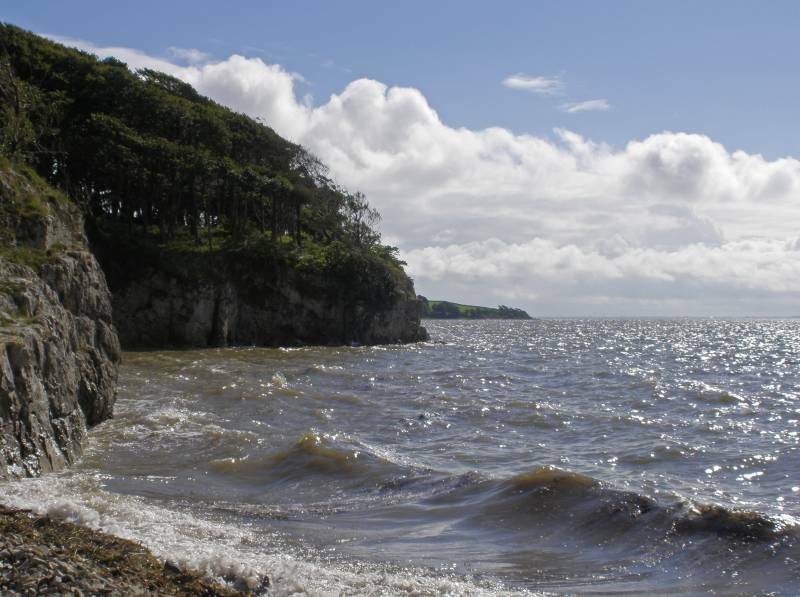 High tide along the Silverdale coast, seen from above Silverdale Cove. 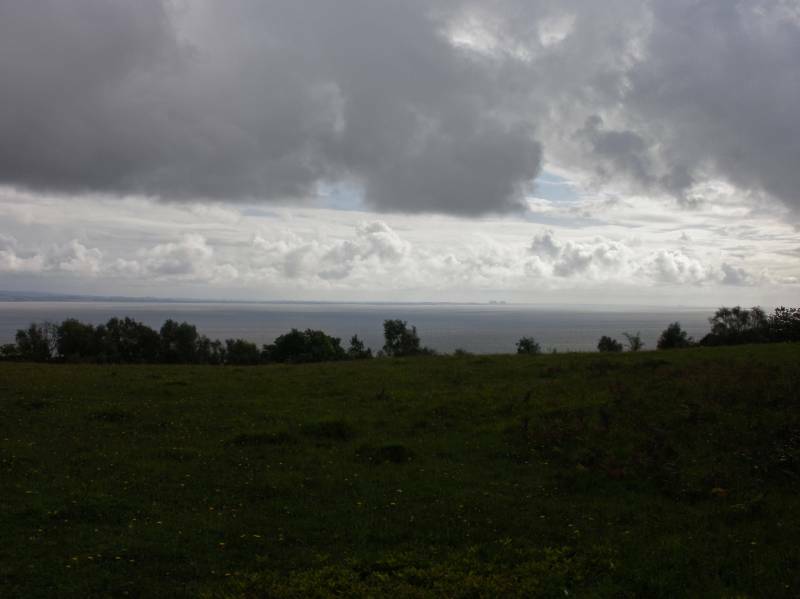 Seen from Silverdale Cove the finger of Know End point reaching out into the bay. 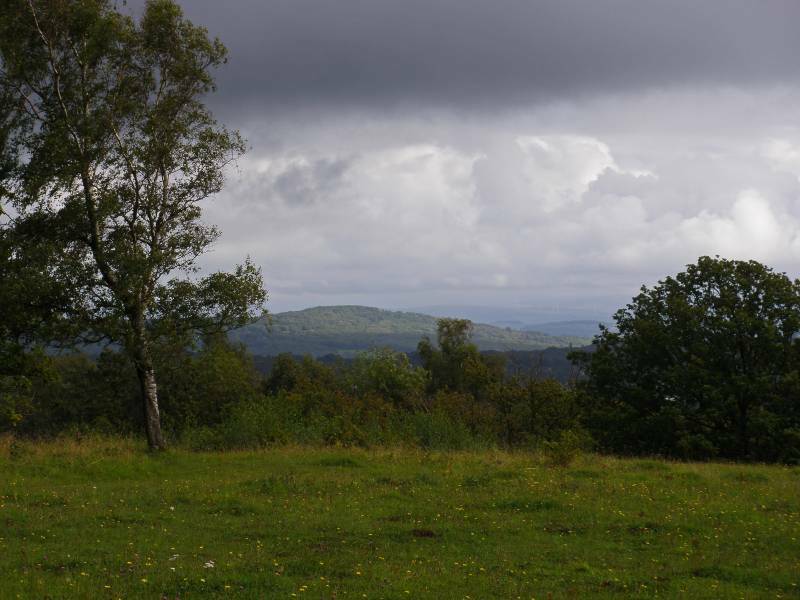 On the edge of Holgates looking to Arnside Knott. 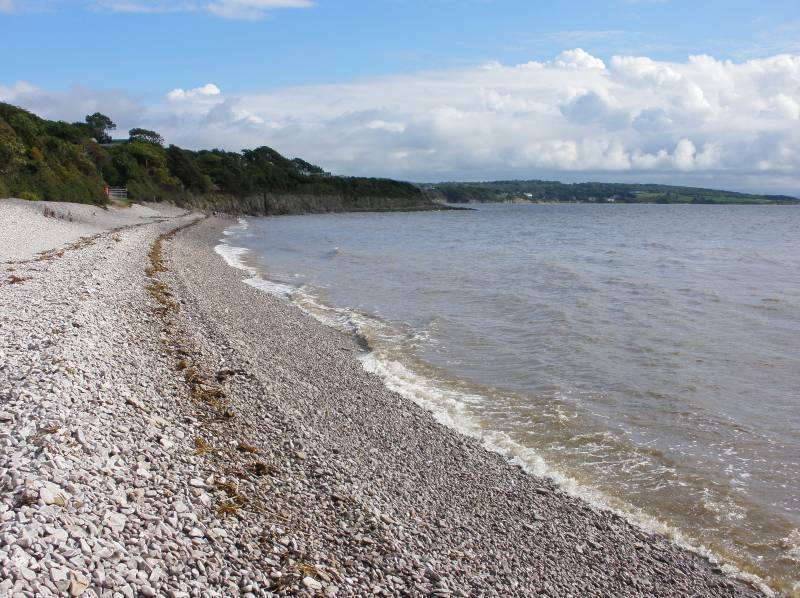 The shingle beach at Far Arnside. 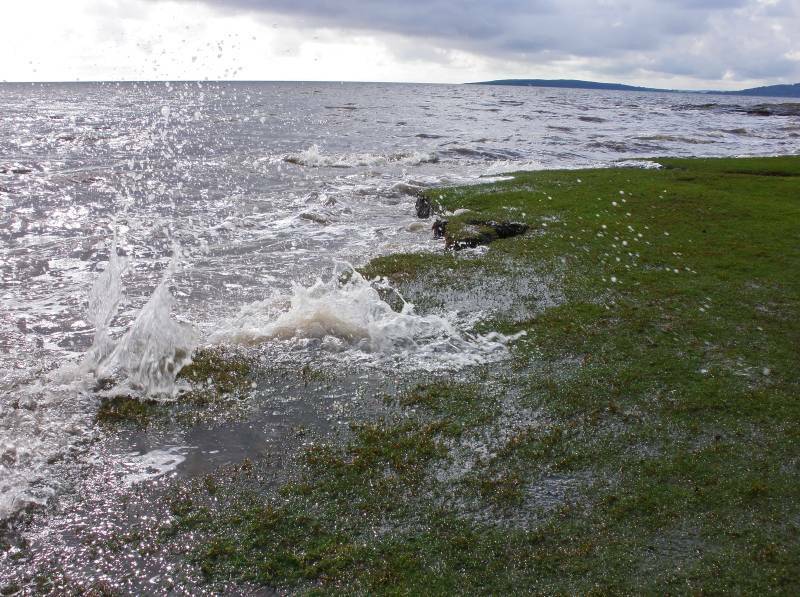 One of the few remaining piece's of sea washed turf along this stretch of coast, it's taking a real pounding today. 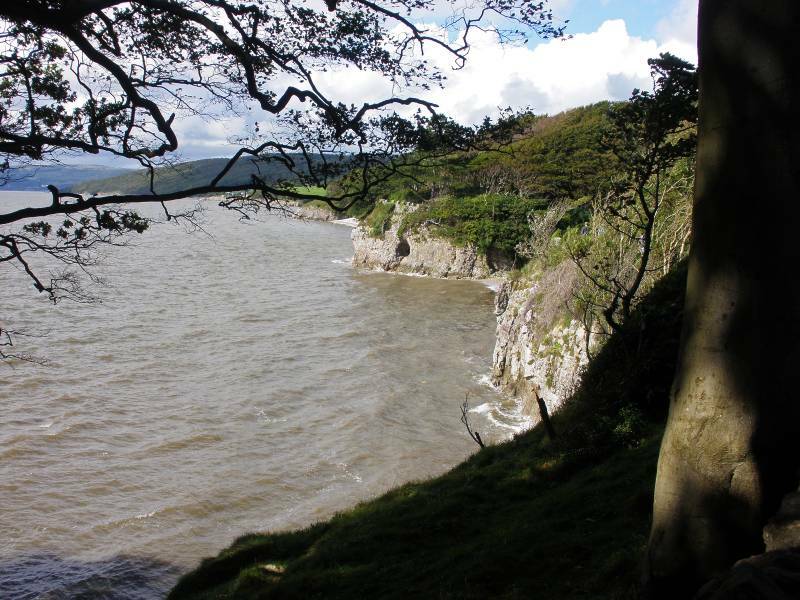 When the sylvan slopes of Arnside Park reaches the waters of the Irish Sea, I think there's always something special about this stretch of coast line at high tide. Just before the path swings north I passed this small quarry, two tunnels have been cut deep into the limestone, possibly used for the extraction of iron stone, I know ore was mined somewhere in these hills and transported to smelt mills around the bay by boat, it's only a short walk from here to the remains of the short jetty at Blackstone Point. 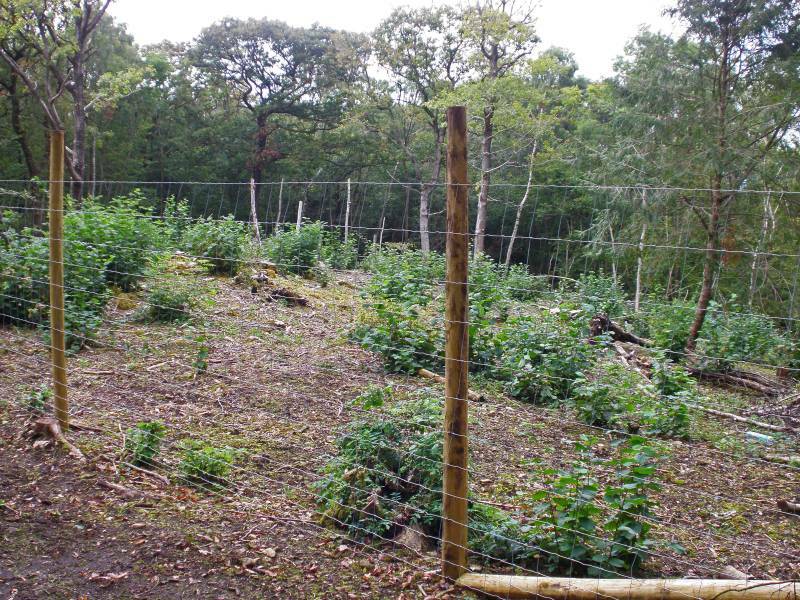 The woodland's been coppiced here, this tall fence is obviously to keep the deer out, allowing the young shoots to grow. 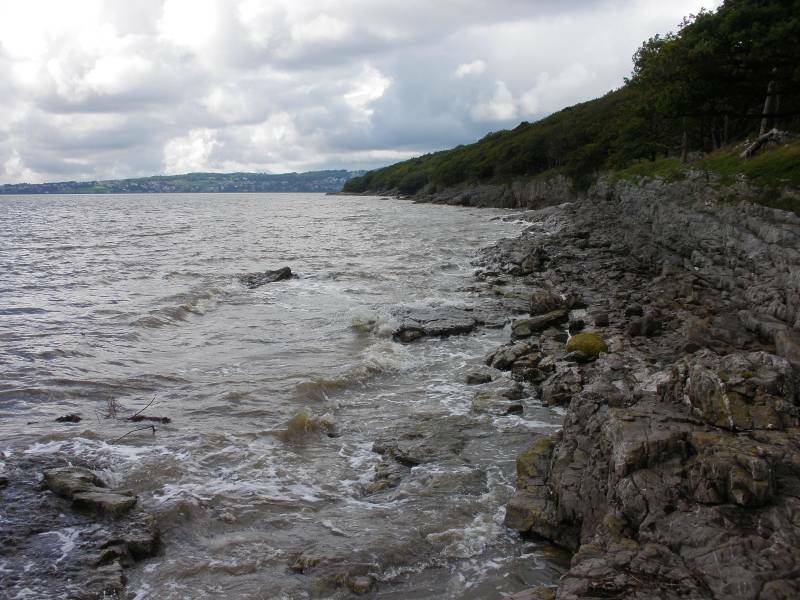 ....not to forget the Silverdale coast. 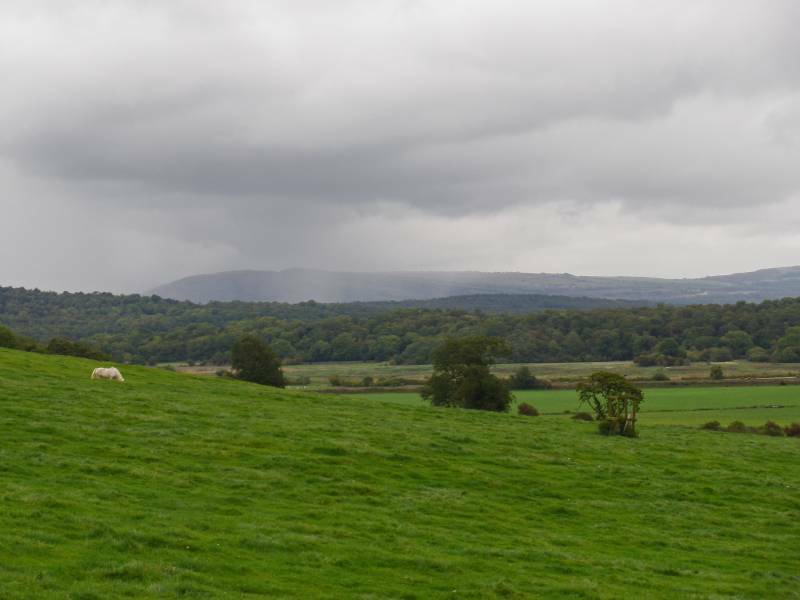 Rain sweeps across Farleton Fell seen from near Arnside Tower Farm. 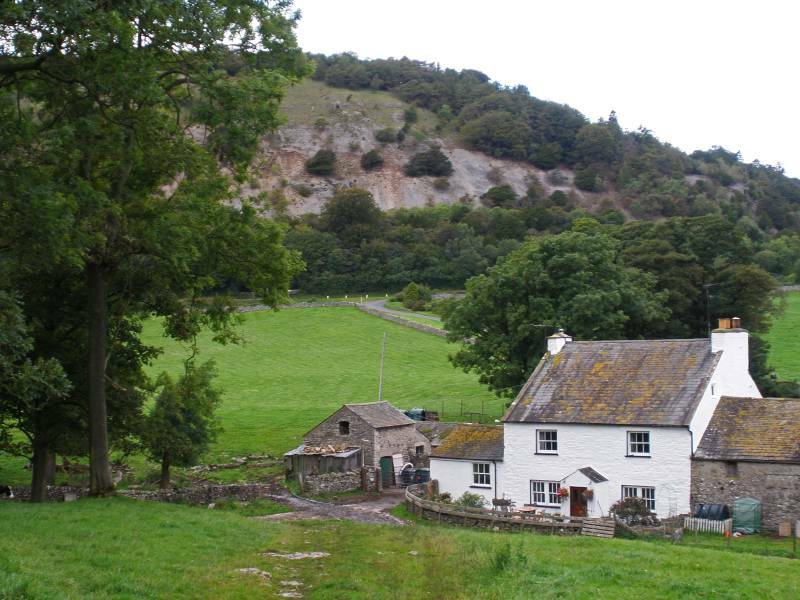 Over Arnside Tower Farm the scree slopes on the southern face of Arnside Knott. On King William's Hill looking to Humphrey Head. And again backed by the Leven Estuary and the Furness Peninsula. 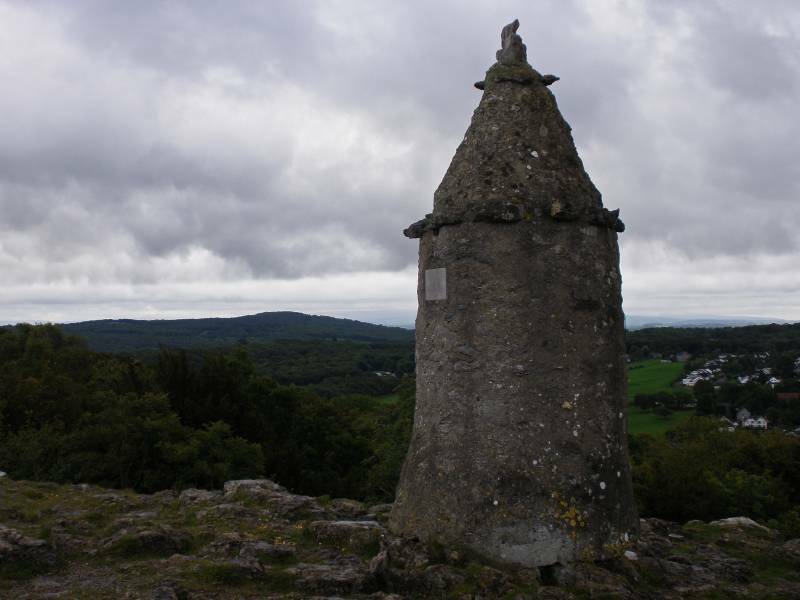 Meet an old friend the Pepper Pot. 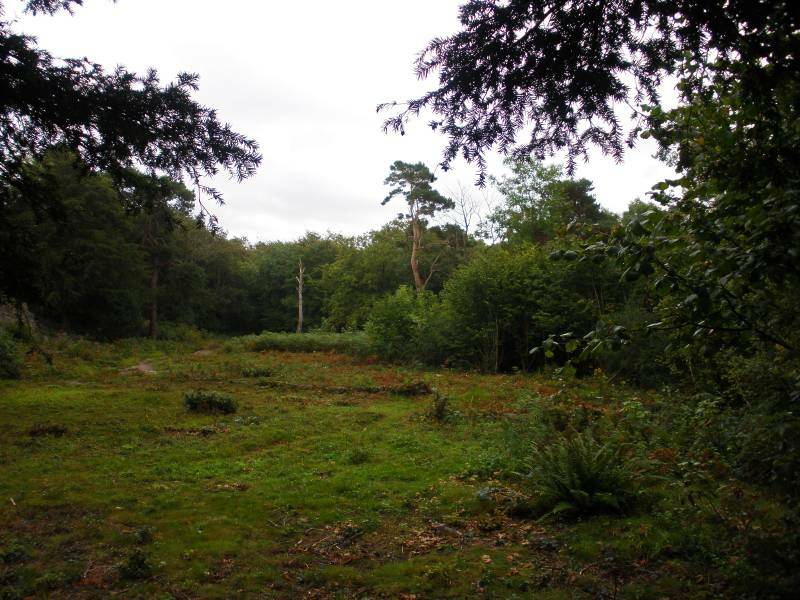 This is one of few clearings in Eaves Wood, it's delightful when the sun is shining, a haven for wild flowers and insects, every year volunteers clear the scrub re-claiming a little bit more woodland as they go about their work. 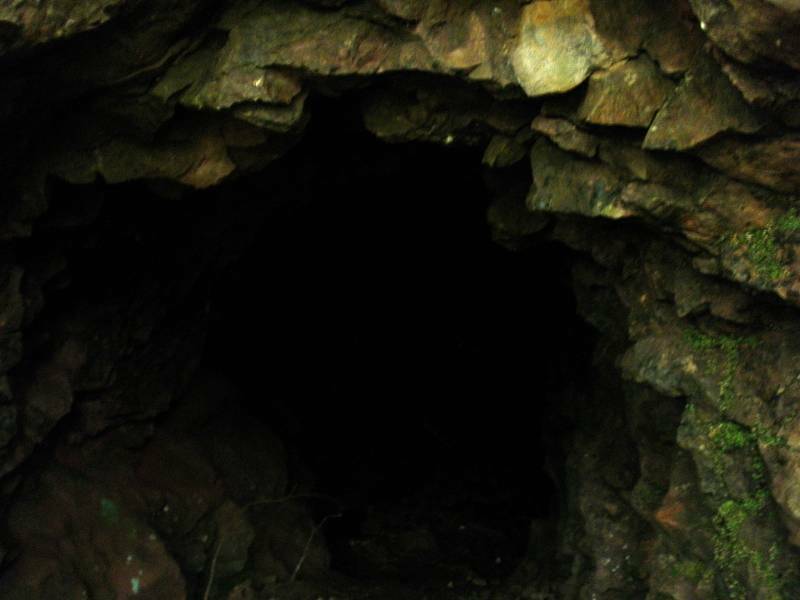 It's been pouring with rain, I've been descending slippery limestone paths, it looks like I may be lucky and step out into sunshine.